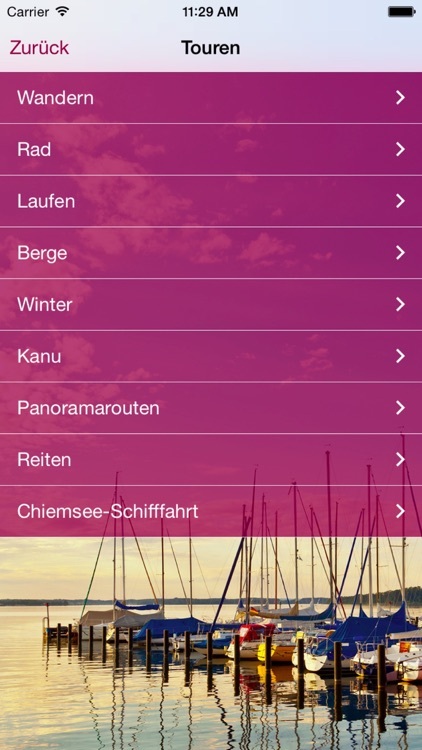 The ChiemseeAlpenApp is the perfect companion for your trip and vacation in the Chiemsee-Alpenland region! 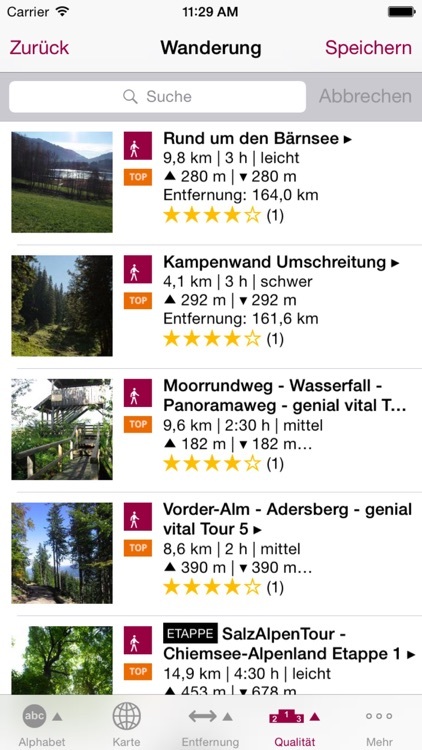 The app provides you with detailed descriptions of hiking, cycling, Nordic walking/skiing and sledding tours as well as information about tourist attractions, accommodation, holiday offers, events and a lot more. 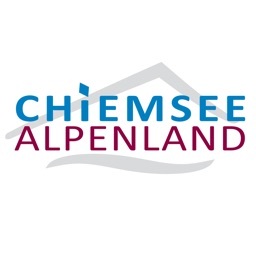 Chiemsee-Alpenland is one of the most diverse landscapes in Bavaria and is well known for its hilly pre-alpine landscape, gentle mountains of the Chiemgau and Inntal Alps, historic cities such as Rosenheim or Wasserburg and picturesque rivers, moors and lakes. The “Bavarian sea” – the Chiemsee – with Herrenchiemsee Palace is said to be one of the most beautiful lakes in Bavaria. 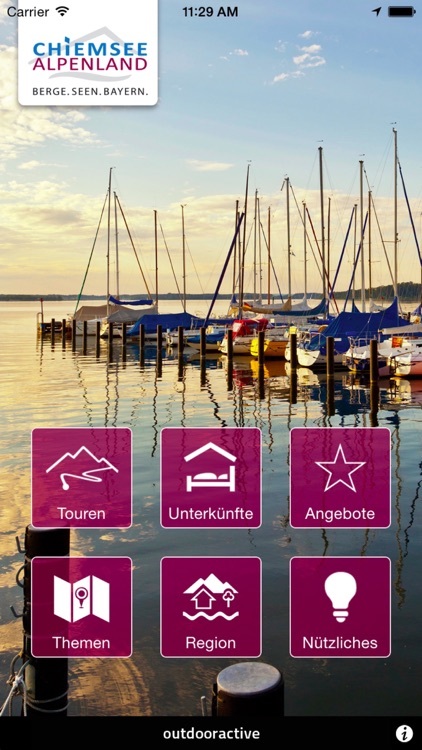 The app offers active vacationers an easy-to-use collection of editorially-maintained tour suggestions. 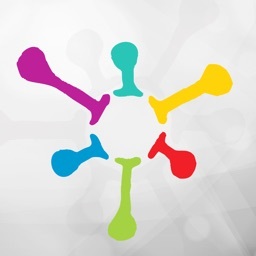 Filtering is possible by type of sport, difficulty, length, map or current distance. 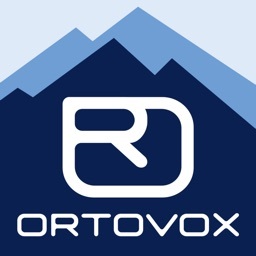 The peak finder facilitates naming of surrounding mountains: Hold your smartphone towards the mountain peaks and the names of the peaks will be displayed (GPS-reception has to be active). 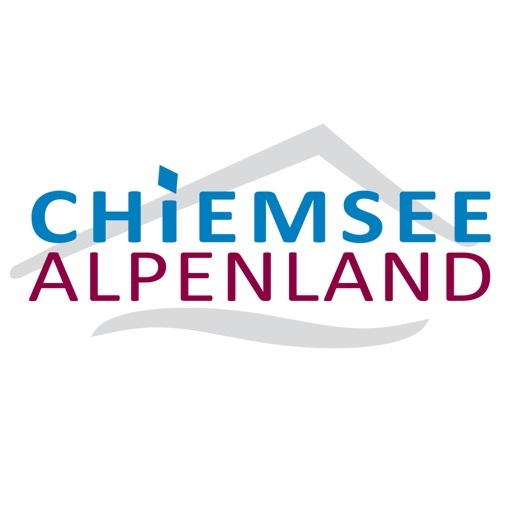 In this section you will find points of interest and all kind of attractions in Chiemsee-Alpenland region, for good and less good weather. Leisure offers (nature, culture, culinary art, wellness and sport) are directly bookable. Find your favorite accommodation and book right away! 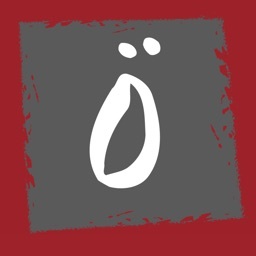 In the event schedule you can find various events in the Chiemsee-Alpenland region. Chiemsee-Alpenland region offers Bavarian and international cuisine. If network coverage is low on the way or high roaming charges incur: There is the possibility of saving tours, points of interest and self-planned tours on your smartphone and retrieve them without internet connection. Just save them offline before the beginning of the tour! You will have limited functionality due to missing GPS-reception when using an iPodTouch. 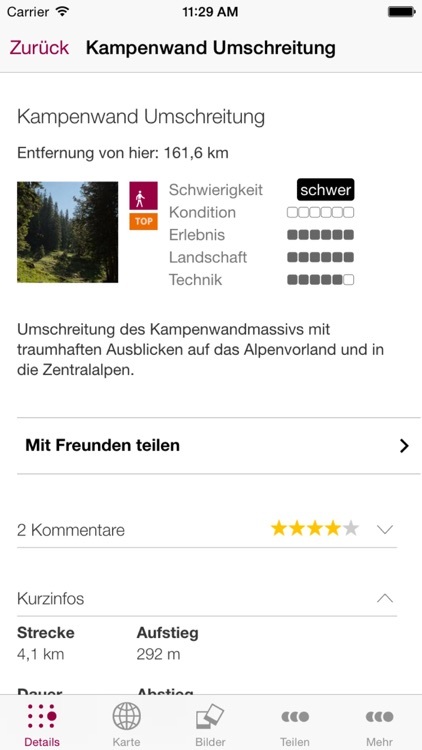 Topographic map and all tours together with descriptions are fully usable. However, position determination is not possible, in the case of Wi-Fi connection only approximate position determination is offered. It is possible via location of the hotspot and does not reach the accuracy of a GPS-receiver. This kind of position determination is not sufficient for outdoor activities. 3G-reception is recommended for a fast internet connection. 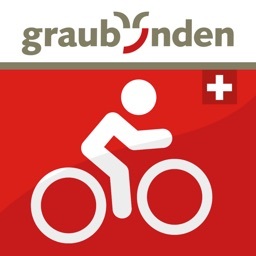 The use of the app with activated GPS-receiver (e.g. peak finder or position determination) can reduce the battery life drastically!